The DHT11 sensor is a very cheap and common sensor that provides readings of relative humidity (20-80% ±5%) and temperature (0-50°C ±2°C). I’ve used this before with an Arduino, this time I’m testing with the most basic ESP8266 board - an ESP-01, which exposes one free GPIO. 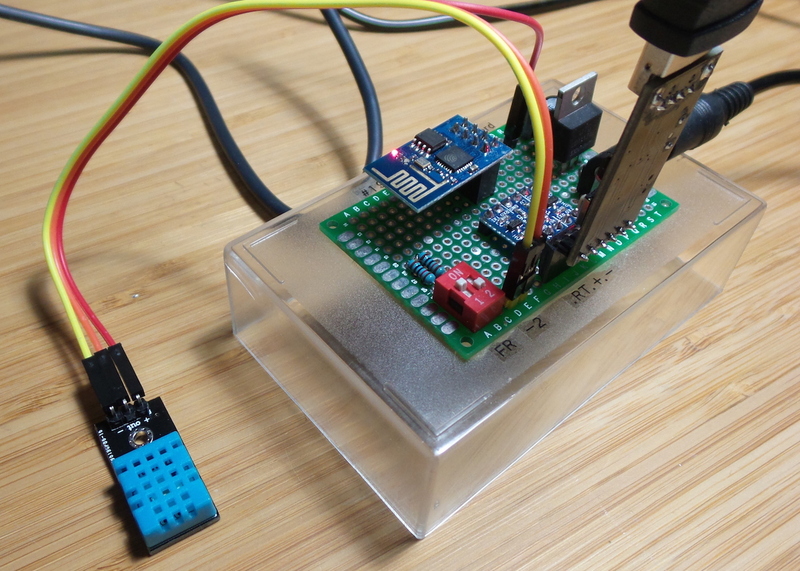 For coding I’m using ESP8266 core with the Arduino IDE, and the Adafruit sensor library to interface with the DHT11.